The Media Arts Program is blessed to be equipped with a wide variety of film equipment for curricular use. The equipment is managed and maintained by the Media Arts Lab. Equipment can be checked out from our two equipment checkout spaces, HFAC Checkout (A195 HFAC) and the FSSS Building at the LDS Motion Picture Studio. Media Arts Equipment is reserved only for use in Media Arts classes and on MA faculty/MA approved projects. Equipment cannot be checked out for student’s personal or commercial projects. Equipment is assigned to students by the classes they are enrolled in. Each class list is reviewed and approved by the faculty of the course. If a student wishes to access equipment beyond what is assigned on the class list, they must request additional access through the Media Arts Lab Access Meeting. Be enrolled in a class or have received special access status that has TMA departmental support. Read and accept the MAL Equipment Access, Loss, Damage and Penalty Policy. During check out, carefully examine equipment for any damages and properly prep the equipment before leaving. You are responsible for the condition of equipment upon check-in. This will save you from checking out broken equipment and help us to keep track of who might be responsible for damages. Students will be required to provide their own media storage when they check out equipment. The department will not have cards available for check out so each student will need to buy a card depending on what type of equipment they will be using. **For suggestions on what types of media are most compatible with the equipment click here. Be responsible for the equipment you check out. Treat the equipment better than if it were your own. Others should not use equipment you check out unless you are officially authorized to mentor them. You take personal financial responsibility of the equipment from the time it is checked out to the time it is checked in. Do not lend the equipment out to others while it is checked out to you. Equipment is not approved for personal or freelance work. Do not mistreat, damage, or neglect the security of the equipment. Do not leave it in a car or exposed to inclement weather. Do not leave the state or country with equipment unless otherwise approved by the facutly and the proper documentation is filed. Be aware that any damage to the equipment out of negligence will be assessed to you (see Damaged Equipment Policy). Do not force or manipulate equipment that does not function properly. Notify the appropriate MAL employee immediately and return the equipment promptly. Don’t try to fix it without proper authorization. Be responsible for the content of your work and uphold the BYU honor code. MAL equipment will not be used for crude, indecent, or offensive capture, playback, or creation. If you do, you will be reported to the Honor Code Office and appropriately disciplined as issued by the department. Follow the university copyright policy. Do not, move, reconfigure, and/or disassemble any computer or router components. If this occurs, your lab privileges will be suspended. If there are damages to any equipment the fine policy will be applied and the lab users will lose their access to the labs indefinitely. The equipment has been set up to work properly. If there are any problems tell the lab supervisor immediately. No food or beverages are allowed near MAL computers or in the high end editing rooms. There are manuals and other instructional materials that are available from the MAL proctor for your review. Store only approved project media on the Cave Server. Approved student project media left on lab computers or on the Cave Server after the project storage deadlines have passed will be disposed of by area supervisor. Store project media in the labs at your own risk. Area personnel are not responsible for project media left in approved storage areas and will not be held responsible for missing project media. Since the number of students enrolled in the Media Arts program exceeds the amount of equipment available, all equipment must be reserved before a student may check it out. The Media Arts Labs uses a web-based reservation system, Connect2, which is accessible to all current Media Arts students. Using the Ashwire system, students select, schedule, and reserve equipment. Once access is granted for a specific class or project, it is the student’s responsibility to ensure that the proper items are reserved for a designated pick-up time, and for the approved duration. When a student enrolls in a production oriented class and completes the prerequisite training on the equipment, he or she is added to the class group within the Connect2 checkout system.The required beginning level production classes have a fixed set of equipment made available to the students. 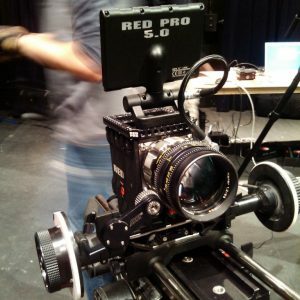 More advanced fiction and documentary production classes have a larger amount of equipment available for the class use. Capstone classes require special clearance for equipment. For a list of the equipment available to each class, see the MAL Access portion of this website. After a student has met the prerequisite requirements for a class and are added to that class’ equipment group, they may log in to Ashwire and create a reservation. Generally, a student may set a reservation to start at any time that the check out center is open then the return date of the reservation is automatically calculated based on the class and equipment restrictions. Class equipment use is allocated on a first-come, first-served basis: It is up to the student to find a time in the system where the equipment is available and work their schedule around the availability. The check out employee cannot override existing reservations if the equipment is unavailable for the time selected. Students may change reservations at any time up to the check out time. If equipment is not checked out within 15 minutes of its reservation time, it will be deleted from the system, to free up the equipment for other students. If you cannot pick up your reservation at the designated time, reschedule or delete the reservation to allow other students to access the equipment. Connect2 will prevent students from reserving and checking out equipment if the student has 1) an outstanding late return, or 2) any fines. These should be cleared through access (or by approving a fine) before the student attempts to reserve equipment. The equipment reservations for advanced fiction narrative, advanced documentary, or fiction and documentary capstones are handled by the Access and Facilities Manager, who will create the reservation in the access meeting where the shooting dates and times are approved. Be sure to arrive on time to the MA Check Out, or early. Since reservations only last for 15 minutes past the indicated time if they are not checked out, being early will ensure that you have enough time to finish checking out your reservation before it expires in the system. Equipment may be picked up 30 minutes before the indicated reservation time, assuming it is available. Be aware that you may wait in line to pick up your equipment, especially during peak production times at the end of a semester. Plan ahead, and come prepared to wait, if necessary. When checking out equipment, all students are required to test their equipment at the MA Check Out before leaving. Please plan on 15-20 minutes to review your equipment for missing or broken parts. If you discover any problems with the equipment after leaving the check out you may be liable for loss or damage. The MA Check Out staff does their best to check the returning equipment for damage, but because of the high quantity of check ins and check outs that arrive, they may miss something. You don’t want to end up on a shoot with equipment that is broken. Note: If the reservation is in your name, you must show up personally to pick it up. The MA Check Out operators will not check out equipment to spouses, friends, or other students working on your project. Equipment must be returned before the time it is scheduled for return. The late fees are set up so you will be accountable and responsible to return all pieces of equipment on-time. If there is some extenuating circumstance, fill out a Checkout Fine Contest form. Much of the equipment is on high demand and if it does not come back you may be delaying another student’s project. For information about the late return policy look at the Fines & Fees section of the handbook. Procedures for checking out equipment from the FSSS is a little bit more involved. Unless you are in a class such as 285 that already has access to FSSS equipment, before you can do anything with the FSSS you have to be approved by Access. In order to receive access, the Producer/Unit Production Manager (UPM) needs to prepare a list of desired equipment on the TMA Production Equipment Request Form. This form needs to be completed and signed by your faculty advisor before requesting an access meeting. Receiving access means that the project is cleared to procede with check out procedures. The UPM should be the one that is in contact with the FSSS, not the director. Before equipment can be checked out, the UPM needs to coordinate with all Key Crew members (DP, 1st AC, Gaffer, Key Grip) to set up a check out time so that they can all be present during check out in order to inspect the equipment they will be using for damages. This is to avoid any question about damaged equipment upon its return so that it is inspected before it is checked out. The UPM then needs to contact the FSSS Area Supervisor to set up an appointment to check out and pick the equipment. There are no scheduled hours for the FSSS, so an appointment is absolutely necessary. Contact should be made at least one week in advance (two days minimum) of the check out time or the FSSS personnel will not perform the check out. This is also to avoid scheduling and reservation problems. Please be considerate of these other student’s time and give them advanced notice. In case of emergencies, contact the Access & Facilities Manager. After the appointment is made, the equipment needs to be reserved on Ashwire. Each Key Crew member needs to make their own reservations. (DP reserves camera equipment, gaffer reserves light, etc.) It is recommended that the equipment be reserved a half-hour after the scheduled pick-up time to avoid erasure of any reservations. Please note that sound equipment is not at the FSSS. It can be reserved online under “Production Sound” and checked out from the Pocket in F-236 HFAC. Make these arrangements with the Sound Area Supervisor. Please be on time for your check out appointment at the FSSS. If you are more than 20 minutes late, the project will be fined $10. The FSSS has a right to close the facility after 30 minutes. Rescheduling will then be required. You should plan on spending at least 30-60 minutes at the FSSS during check out. All Key Crew members should be present for this process. It is not the job of the FSSS personnel to load the equipment from the vehicles, so if you don’t want to do it all yourself, bring another pair of hands. After check out has been completed, the FSSS personnel will print out a Check Out Agreement which holds the project responsible for any damages/loss/late fees that happen while the equipment is under their stewardship. This is signed by the UPM. Just like when you check out equipment, in order to check in equipment, the UPM must make an appointment with the FSSS Area Supervisor. When scheduling a check in time, keep your reservation on Ashwire in mind, the check in process should begin at least an hour before the check in time online to avoid late fees. On Saturdays, check in needs to begin before 11:00 pm so that the equipment is checked in and put away by midnight. Equipment should all be returned at once, do not try to drop it off in shifts. It will only be checked in once all of the equipment has been returned. It is the FSSS personnel’s job to supervise putting away the equipment, not to unload the vehicles. If you do not want to do this on your own, bring a crew along. Responsible area heads (DP, 1st AC, Gaffer, Key Grip) should be present for check in because they are responsible for it from the moment it is checked out to when it is on the shelf checked back in. The equipment should be returned in the same or better condition than it was in when it was checked out. Fines may be charged for excessive filth or disorganization. It is the area heads’ responsibility to inspect all equipment and make sure that they are in acceptable condition for check in. If any damages occurred or are discovered, they need to be reported before leaving the facility. If damages are not reported upon return, the damage fees will increase. If damaged are are found, project members’ Ashwire accounts wil be locked. DO NOT drop off your equipment without helping to put it away. If this happens, the project will immediately be fined $25. DO NOT leave unattended equipment in the FSSS vicinity. Late fees are applied in full for any equipment left without being officially checked in. If equipment is returned late, Ashwire accounts will be locked. The DP of the project will all be charged a $25 rescheduling fee with an additional late fee of $15 per hour for every hour that you are late. If you are 2 hours late, the DP’s account will be charged $55. $25 (rescheduling) + $15×2 ($15/hour for 2 hours). Avoid this and please just be on time!